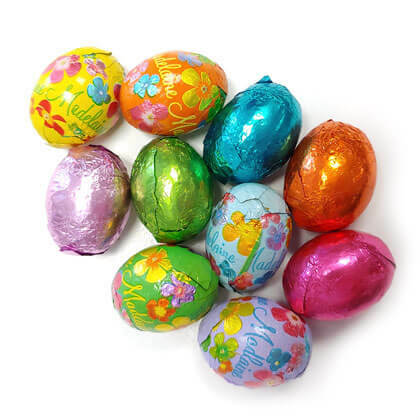 Gourmet milk chocolate eggs in bright festive foil. Perfect individual size! 5 oz bag. OU Kosher Dairy. Approx. 3.5 per oz and 1.25 inches tall. Madelaine chocolate made in NY. Foil colors and styles will vary per bag.